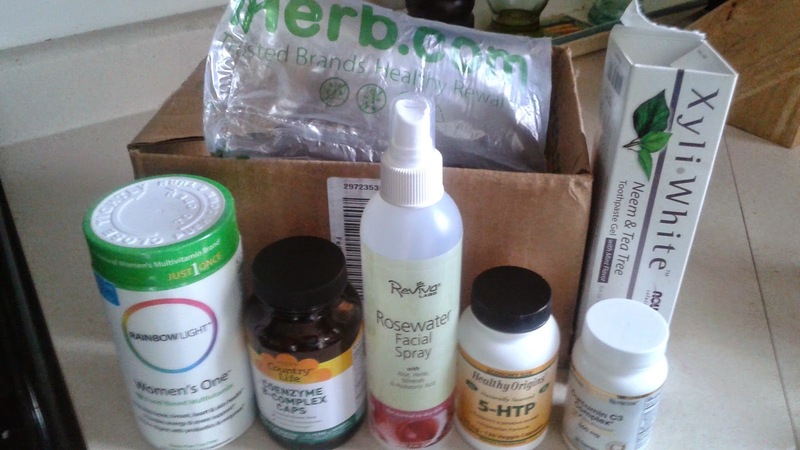 Health and Beauty Girl : iHerb Haul for Y'all: Health, Beauty, Skincare, Makeup, Supplements! iHerb Haul for Y'all: Health, Beauty, Skincare, Makeup, Supplements! 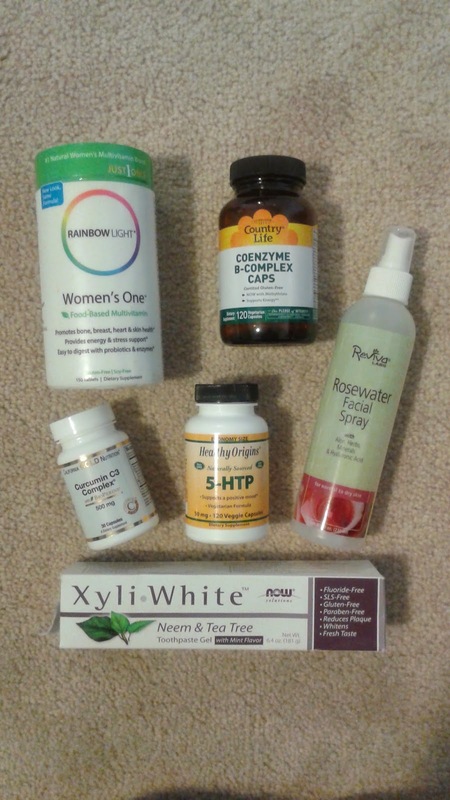 I received a package from iHerb today and thought I'd share my little haul with y'all. Maybe you will get some ideas for things you want to try. I love finding out about new products to try out. Some of these items are repurchases and other are some new discoveries for me. 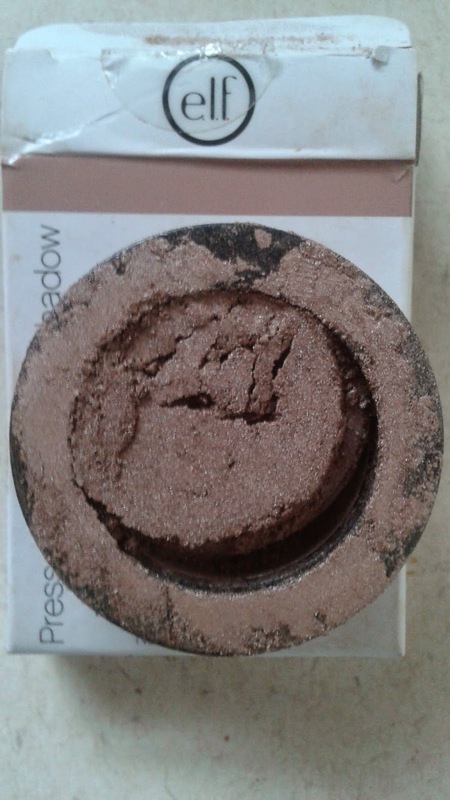 This is Elf's Pressed Mineral Eyeshadow in Lunch Break it's currently on sale for only $2.10! The great thing about iHerb is that they immediately refunded my money and I am reordering this with my next order. I did manage to swatch this and it's BEAUTIFUL! I actually didn't expect it to be such a nice colour from the swatches I found online. 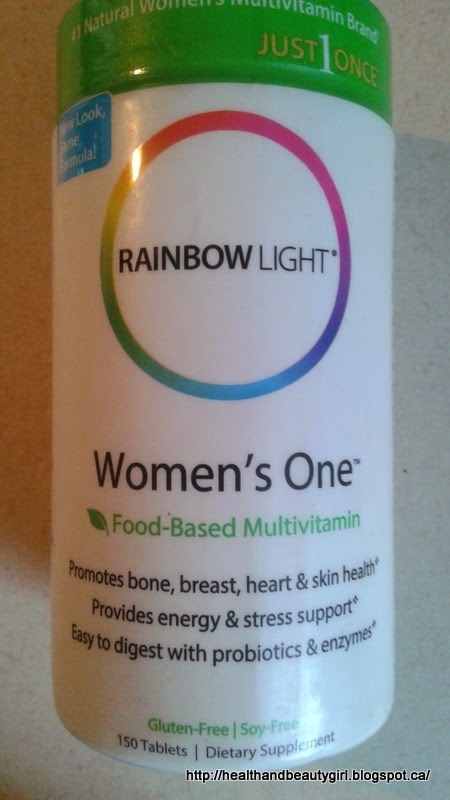 Rainbow Light Just Once Women's Food Based Multi 150 tablets for $32.89- this is a repurchase. 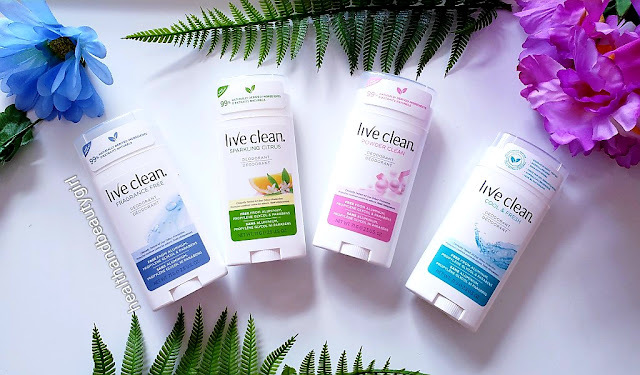 I love this multi because it's made from food-based ingredients so our bodies recognize the ingredients more compared to manufactured ingredients and it has some herbs specifically for Women's issues and you only need one a day! Naturally nourishes, energizes, and protects the major systems of a woman's body. Just one tablet of our food-based Women's One multivitamin goes beyond minimal daily values to deliver clinically researched key nutrients in forms that are easy for your body to absorb. 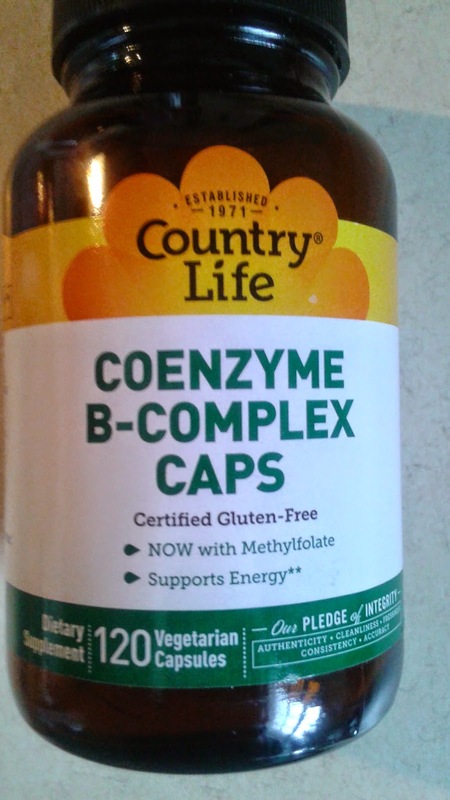 Country Life, Gluten Free Coenzyme B Complex Caps, Veggie Caps 60 caps for $11.99 or 120 caps for $17.99- this is a new purchase for me. It's supposed to be easier for our bodies to absorb because of the Coenzyme formula. From Iherb's website: "Coenzyme B-Complex contains essential B vitamins in its active, "coenzymated" form. This complex that you've known and loved for over 15 years now includes Methylfolate (Quatrefolic) - the most advanced form currently available. 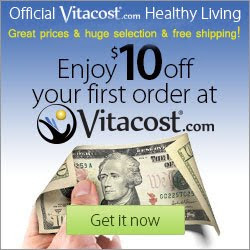 And as always, you don't need to worry about the typical vitamin B taste or odor." 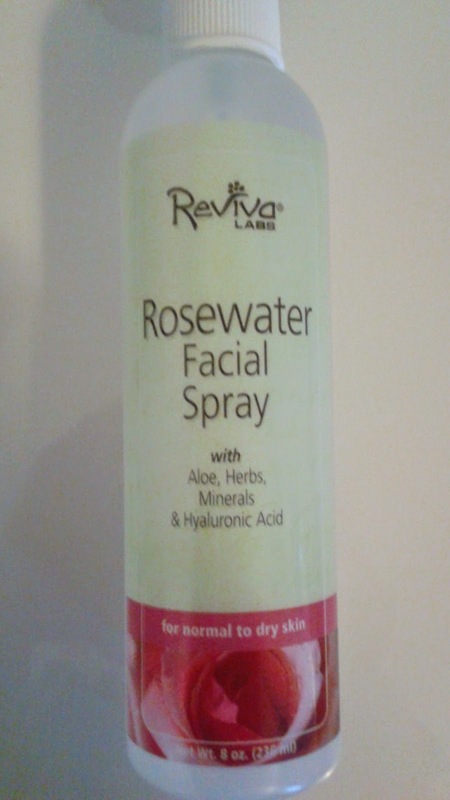 Reviva Labs, Rosewater Facial Spray 8oz for $6.51- this is another new purchase. I love my facial sprays and I'm so excited to try this one, it has great reviews on iHerb`s website. From iHerb's website: With Aloe, Herbs, Minerals & Hyaluronic Acid, Refresh Skin & Set Makeup, Spray Away Perspiration, Moisturize Skin & Hair in Dry Weather, Use as a Sensitive-Skin Tonic. "Natural extract of roses makes this Facial Spray very refreshing and stimulating. Helps moisturizers and night creams have better effects in making skin look better with makeup, or "setting" makeup; you'll find dozens of other uses. For male and female athletes, this mist is a great refresher and cleansing aid." 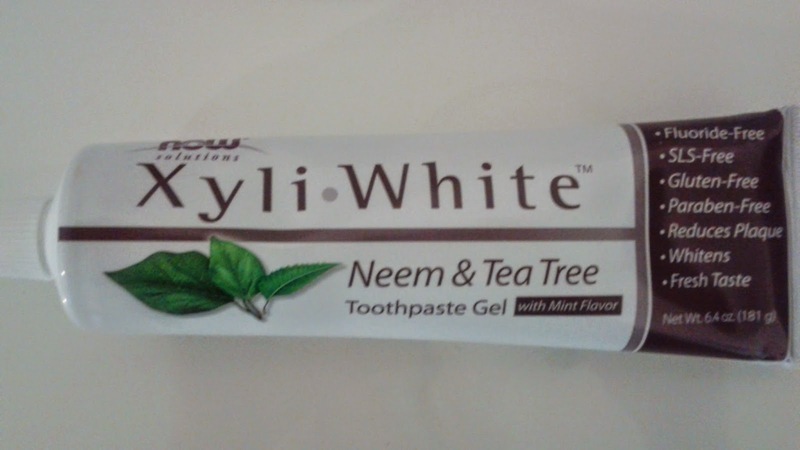 Now Foods, XyliWhite Neem & Tea Tree Toothpaste 6.4oz for $4.57- This is another new product that I'm trying. I usually use this product in the regular XyliWhite cinnamon flavoured toothpaste and have had great results. Once I saw this formula with Neem and Tea Tree I had to get it. From iHerb's website: XyliWhite is a remarkable fluoride-free toothpaste gel that uses natural Xylitol as its main ingredient. 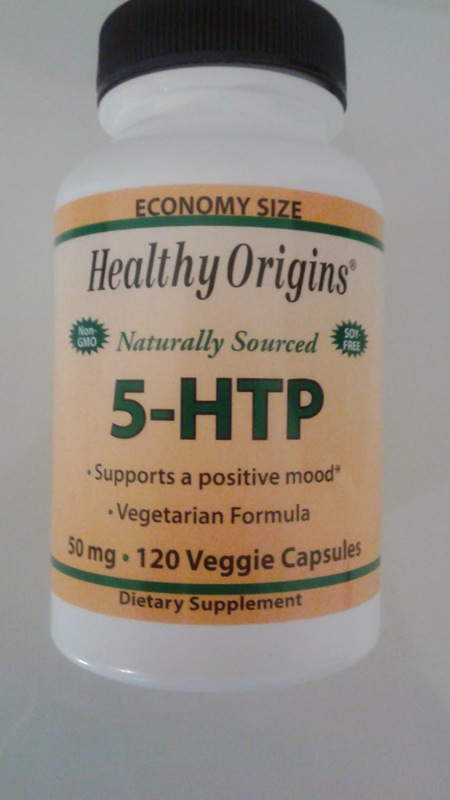 Healthy Origins 5-HTP Veggie Caps 50mg/ 120 veggie caps for $10.98- This is another new product that I'm excited to try. It has great reviews and I'm hoping it will help with sleep and mood etc. Healthy Origins 5-HTP is guaranteed to be free of "peak x" contaminant. 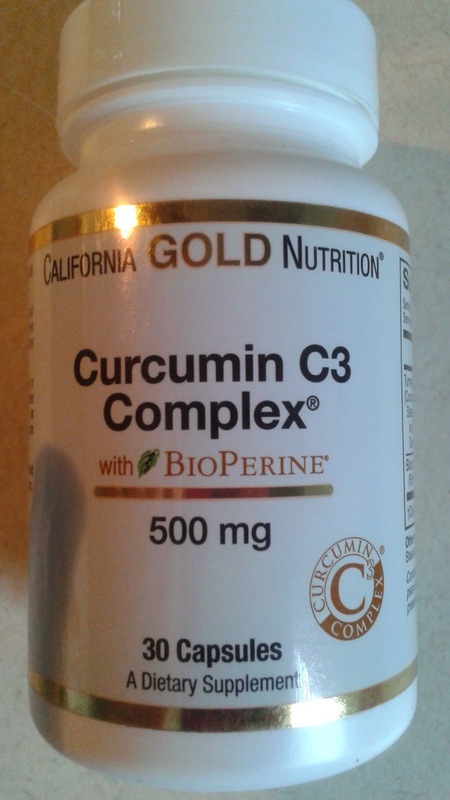 California Gold Nutrition, Curcumin C3 Complex 30 Veggie Caps (at the time I purchased they were on a trial special for .90cents) iHerb always has super specials and trial specials going on, you just have to click on those links on their site. I have taken curcumin before but not by this brand. Curcurmin has so many purported health benefits. Info on Curcumin. I love shopping at iHerb. The products are much cheaper than if I were to buy them in retail stores and they have superb customer service (eg. 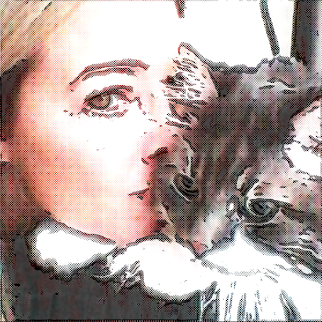 it took me about 3 minutes on their live chat today to tell them about my broken eye shadow and they quickly refunded me.) They operate out of California and because I`m in Canada I use international shipping. Even with international shipping, this entire order cost me a flat $5.34 USD for shipping. Depending on the weight I often get shipping for a lighter order for just $2! 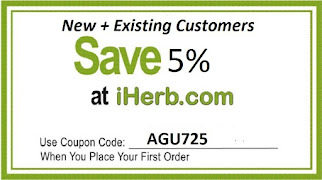 Everyone will receive a discount on orders over $40 and if you`ve never shopped with them before, they will give you $5-$10 off your order by using this iHerb coupon code . I`ve shopped around and always find they have the lowest prices and lowest shipping charges. I hope you enjoyed seeing all the new products I purchased. I know I`m excited to try all of the new ones! If you have any questions or would like any reviews on any of the products please let me know. I'm going to look into that Women's Multi. I love the Rainbow line of protein powders for my smoothies! Bummer about the elf shadow, but sounds like customer service resolved the issue right away! I haven't tried the rose toner, but I LOVE Reviva Labs. 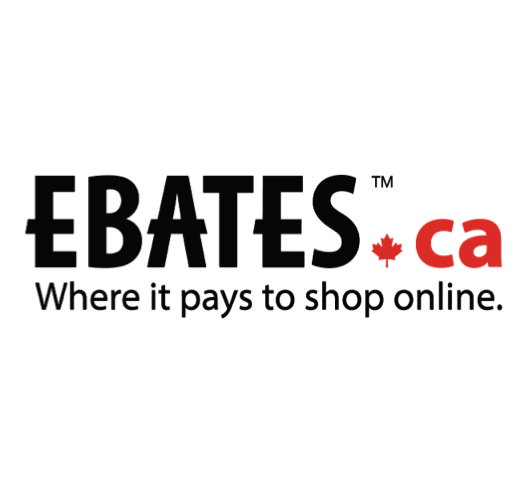 They have fantastic no frills skin care, and super prices. 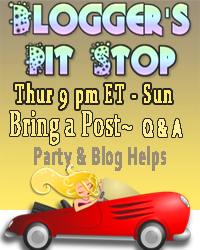 Thanks for linking up with us at the Best of the Blogosphere! Can't wait to see what you link up this week!